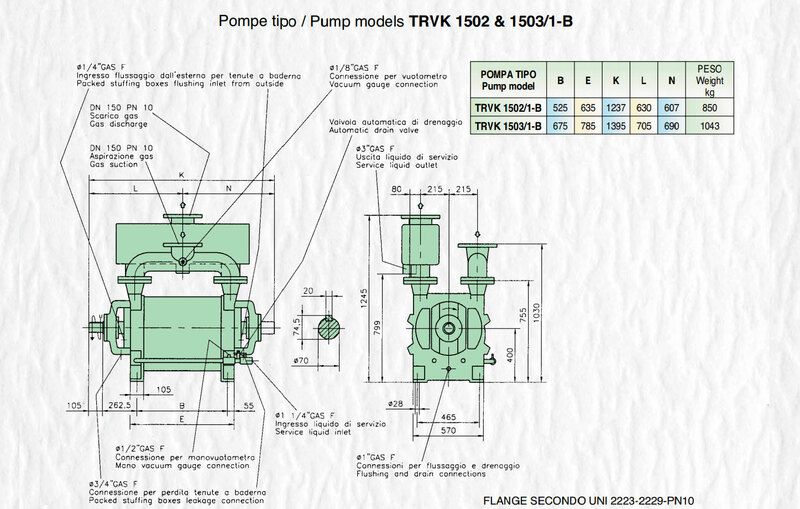 Pompetravaini’s experience in the manufacturing of liquid ring vacuum pumps acquired over 70 years has led to the creation of the new and improved single stage liquid ring pump series that offer optimum performance and reliability. 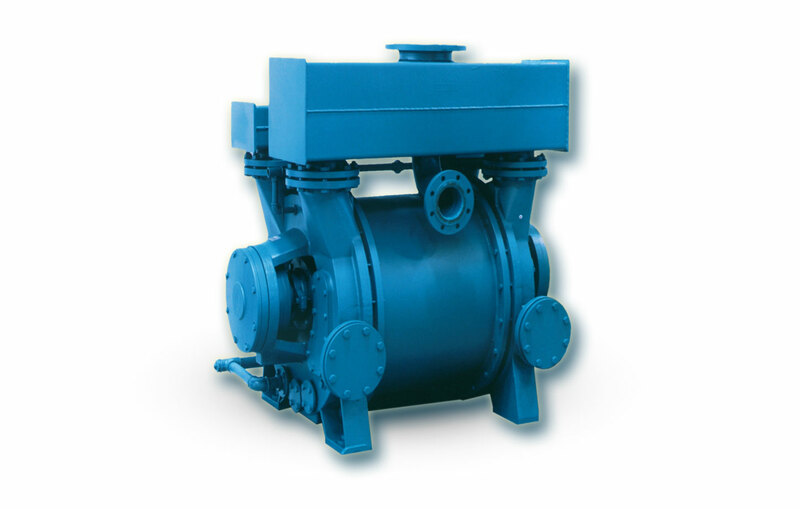 The series TRVK is engineered for optimal efficiency in the operating range between 40 & 200 mbar, thanks to the special variable discharge port. 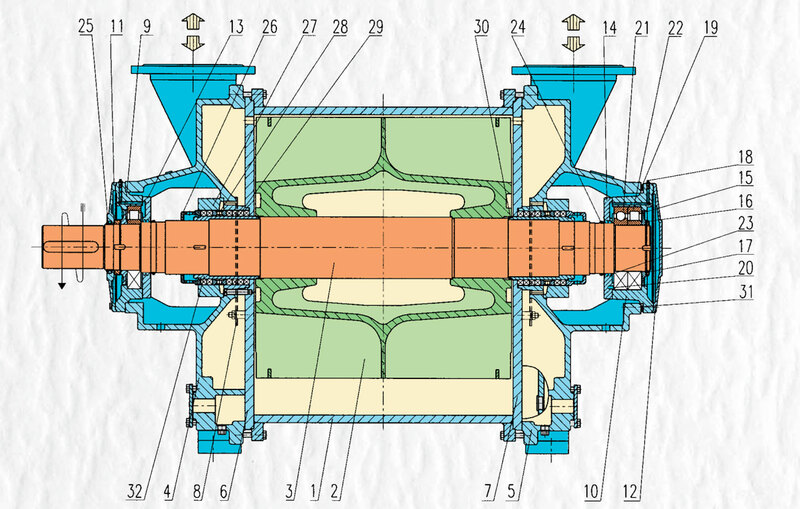 The series TRSK will best perform in the range between 200 & 900 mbar. 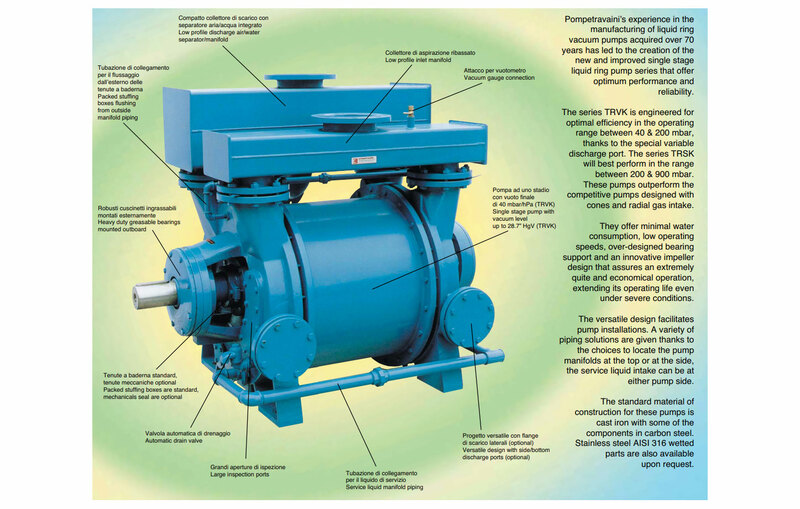 These pumps outperform the competitive pumps designed with cones and radial gas intake. 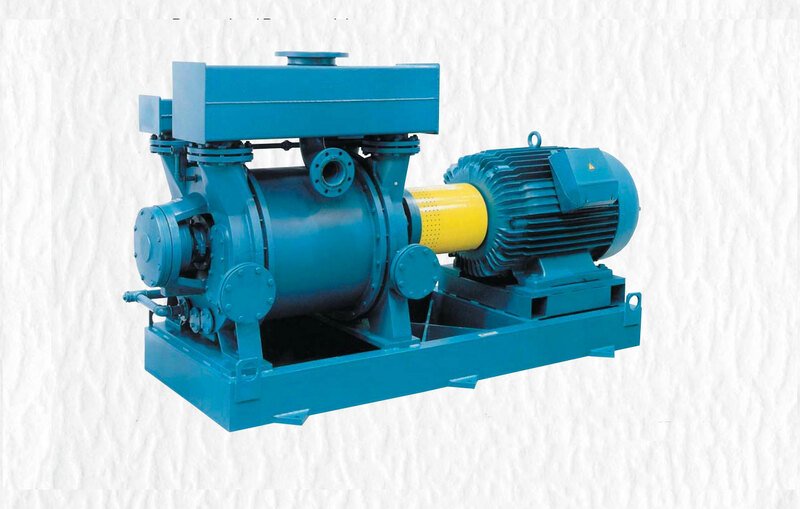 They offer minimal water consumption, low operating speeds, over-designed bearing support and an innovative impeller design that assures an extremely quite and economical operation, extending its operating life even under severe conditions. 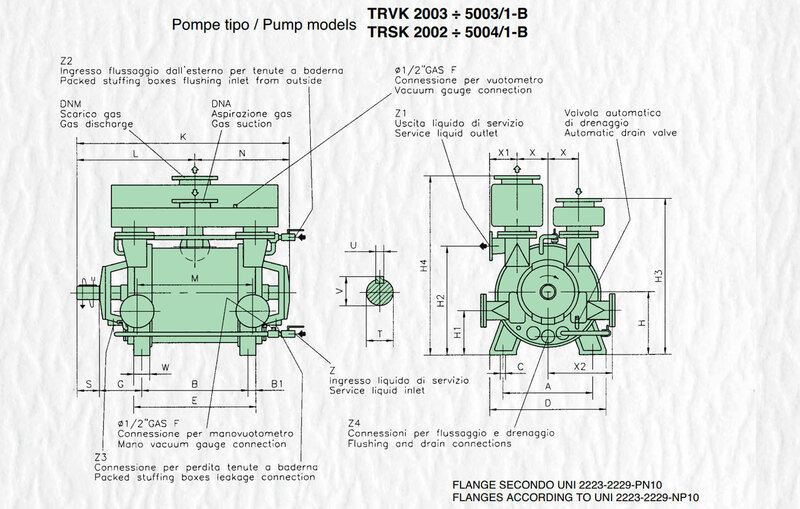 The versatile design facilitates pump installations. 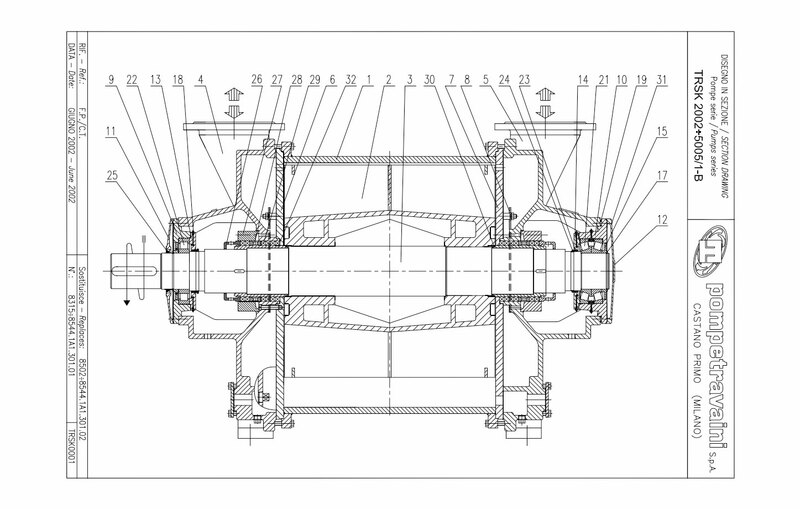 A variety of piping solutions are given thanks to the choices to locate the pump manifolds at the top or at the side, the service liquid intake can be at either pump side. 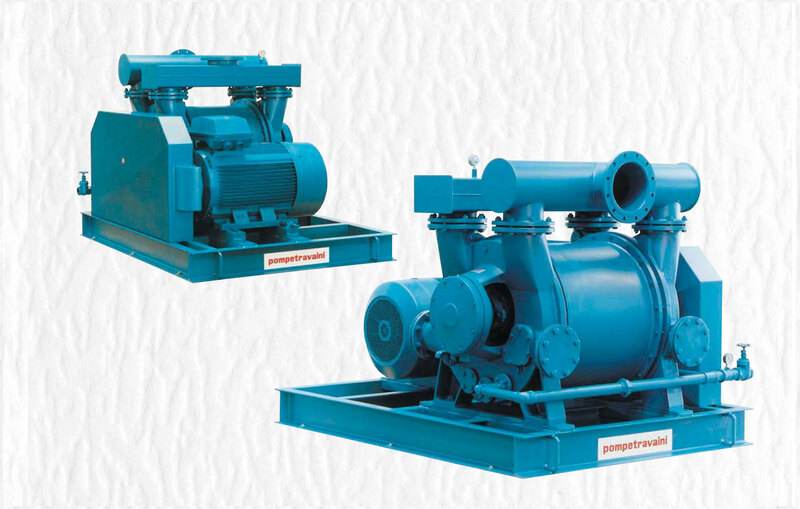 The standard material of construction for these pumps is cast iron with some of the components in carbon steel. 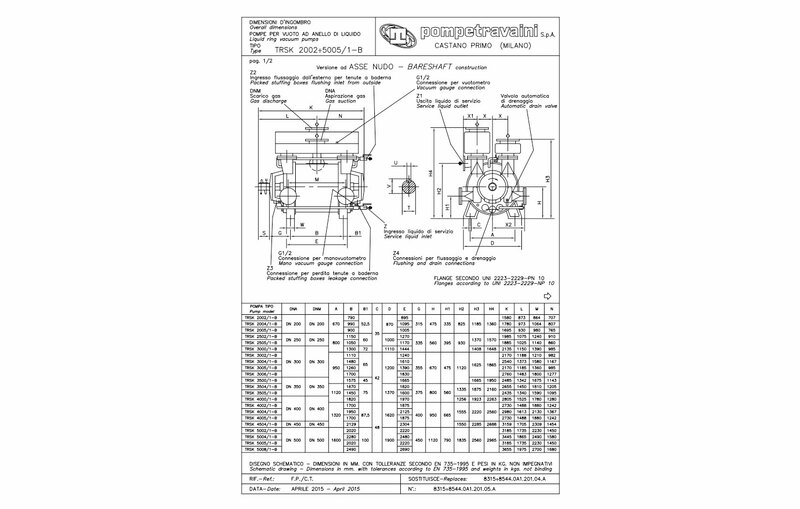 Stainless steel AISI 316 wetted parts are also available upon request.